Shut your eyes and pretend you’re a kid again. You are so very excited for your holiday you can barely stand it! Then it’s here. You walk into the massive hotel lobby and lay your eyes upon the behemoth that is the indoor jungle gym that looks as if it scrapes the ceiling it’s so big! And you get to play on it straight away. That’s when you realise – this holiday is going to be amazing. Paradise Resort replicates this unforgettable holiday experience for a multitude of familes' year in and year out constantly living up to their slogan “Heaven for Kids and Paradise for Parents”. A beautifully manicured resort spread lavishly across 5 acres in the heart of Surfers Paradise. The resort is dedicated to fantastic family fun through themed suites, expansive lagoon waterparks, jungle gyms, playgrounds, spectacularly decorated kids club rooms and areas as well as cafés and restaurants. 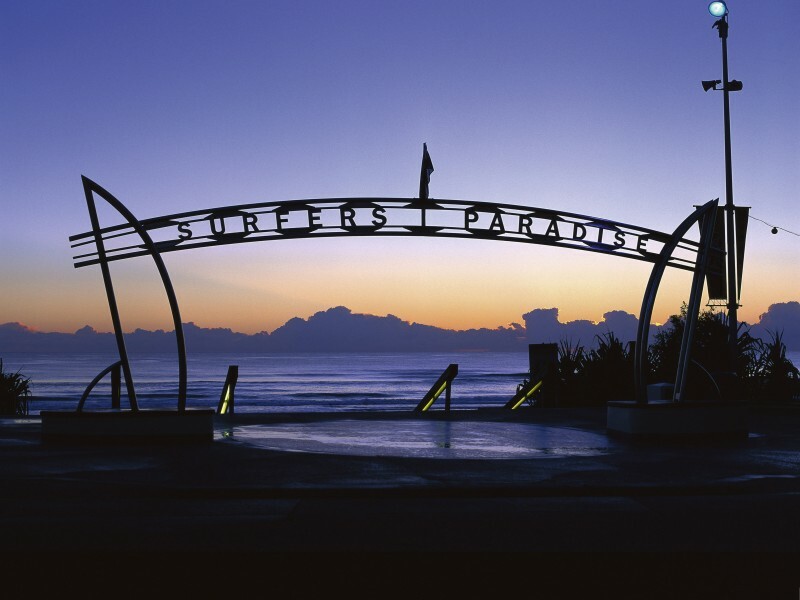 Stepping outside the resort lands you smack-bang in the middle of Surfers Paradise – which adds a whole other layer of fun! Beaches, restaurants, and local attractions are all within walking distance. If you’re not a fan of walking, you can ride the G – the local tram that whizzes guests around the Gold Coast in a matter of minutes. 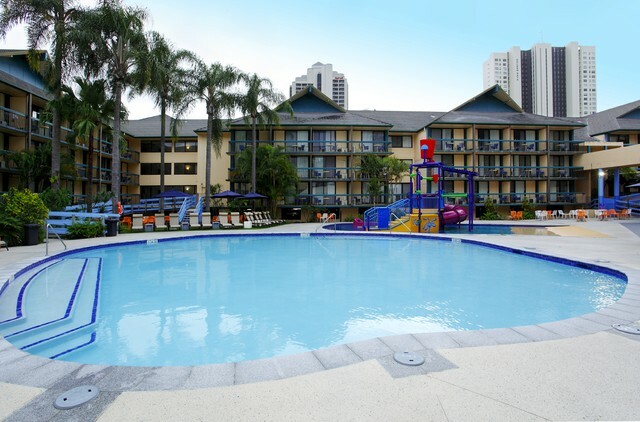 Sea World Resort lies only 5 minutes away in Main Beach on the Broadwater, while Dreamworld, Movie World, Wet ‘n’ Wild, and White Water World are all situated just up the highway with transfers and tickets conveniently available for purchase at the tours desk in the gift shop. 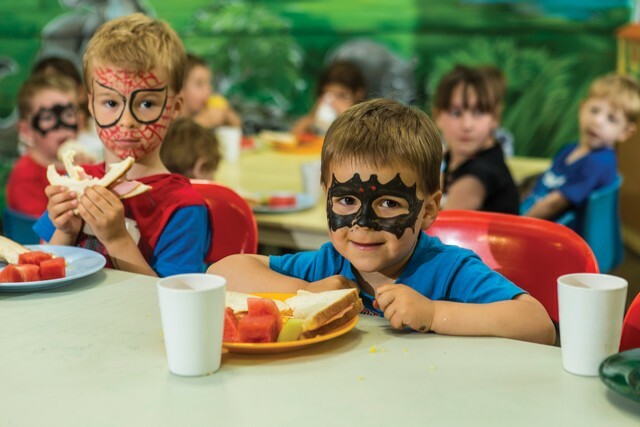 While the fun-filled theme parks are all so very accessible, we have to warn you – your kids might not want to leave once they’ve seen the Zone 4 Kids Club! 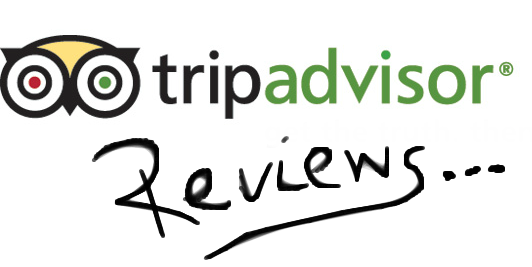 We’ve had many a Hightide customer report back that their children preferred the kid’s club activities and didn’t want to venture out to the theme parks. Once you see the Zone 4 Kid’s club’s fascinatingly decorated rooms filled with starry-eyed children - you’ll understand why. The resort is devoted to constantly creating and reinventing extravagant and action-packed activities, games, and programs kids are addicted to. With the support of utterly dedicated childcare staff with a wealth of knowledge and experience this is an easy feat. 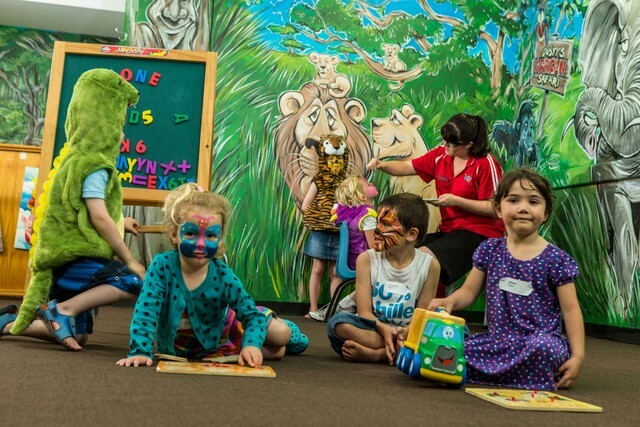 Spread across 9 amazing rooms the Kids Club separates children into groups to offer the most age appropriate care. These sessions can be booked through the resort reception, at the kids club or through the Paradise Resort, Zone 4 Kids club app! This convenient creation allows parents to easily book their children into sessions from 48 hours prior to arrival up to 2 hours before sessions are due to begin. Parents are also able to request one on one care for children with special requirements as well as specifying any dietary information. Are you still asking yourself what makes Paradise Resort truly special? It could be the fact they recognise families with children of all ages need a break to relax and rejuvenate and are proud to be the only resort in Australia that offers care of babies from 0 to 2 years of age. The supervision of these mini guests follow government regulated conditions regarding the number of carers per baby thus allowing families to feel comfortable knowing their children are given the appropriate level of care. As part of this amazing service Paradise Resorts offers every family four hours of childcare, per day, per child for FREE! So every child has the opportunity to explore every part of the exciting Zone 4 Kids Club to their hearts content. Meanwhile, Mum and Dad can chill out in the adult zone soaking up the child-free sun on comfy lounge chairs or in the heated spa while perusing the delicious tapas and wine menu. For parents with as much energy as their kids, why not try some exclusively adult activities such as cocktail making classes or trivia sessions? Why not truly indulge and relax into an in room massage package too? As well as the impressive kids club, Paradise Resort host a myriad of other activities for the kids to enjoy that run as frequently as every hour during school holidays that are either free or incur a small cost such as balloon artistry, arts and crafts, t-shirt decorating, sand art, cup cake decorating and much more. Fridays are known as fancy dress Fridays complete with a fashion parade sponsored by Streets Ice-cream who offer free paddle pops to all children who dress up and participate. Saturdays and Wednesdays are all about outdoor movies with a carnival twist. 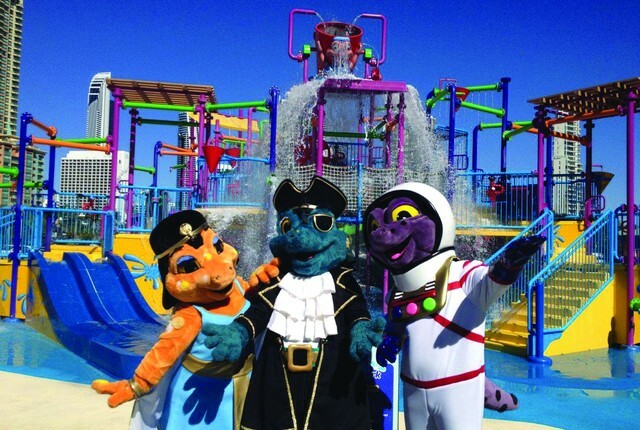 The entire lagoon area is transformed from a waterpark into a giant outdoor theatre themed to the genre of the movie, with hot dog carts and fairy floss on offer by resort staff who sometimes dress up in character too! See the resorts theme jump to life in a 15 minute dance performance by the famous geckos, Captain, Astro, Cleo, and Dusty three times a week. Then start your Saturday morning with some action packed Laser Tag! Sessions are run in the Zone 4 Kids club every morning at 8am during school holidays. Then to cool off why not check out Plant Chill, the resorts very own permanent Ice Rink. Sessions run for 2 hours three times a day so families can swing by at their leisure. Adults can either join in on the ice fun or watch over their kidlets, coffee in hand. 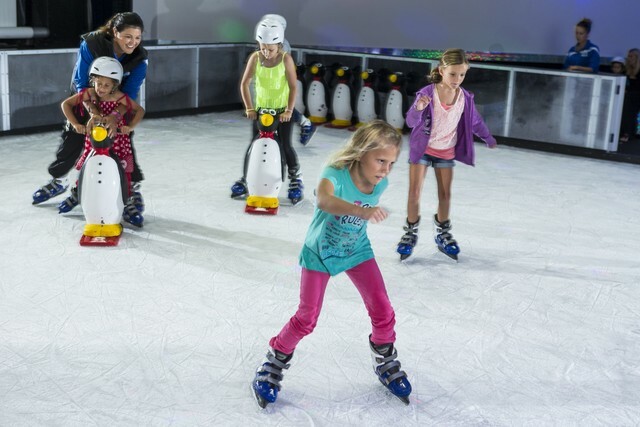 Kids who haven’t skated before or are just a bit wobbly can use the resorts stabilising penguins to help them get around without clutching the railing. For older kids, Planet Chill has a separate Chill Zone area for teenagers to hang out and play on the air hockey, foos ball, and snowboarding tables. If you haven’t had your fill of chilled out fun, sometimes the resort gathers the scrapped up ice and dumps it in the lagoon area for snow ball wars! Another action packed adventure is Dusty’s rock climbing wall. 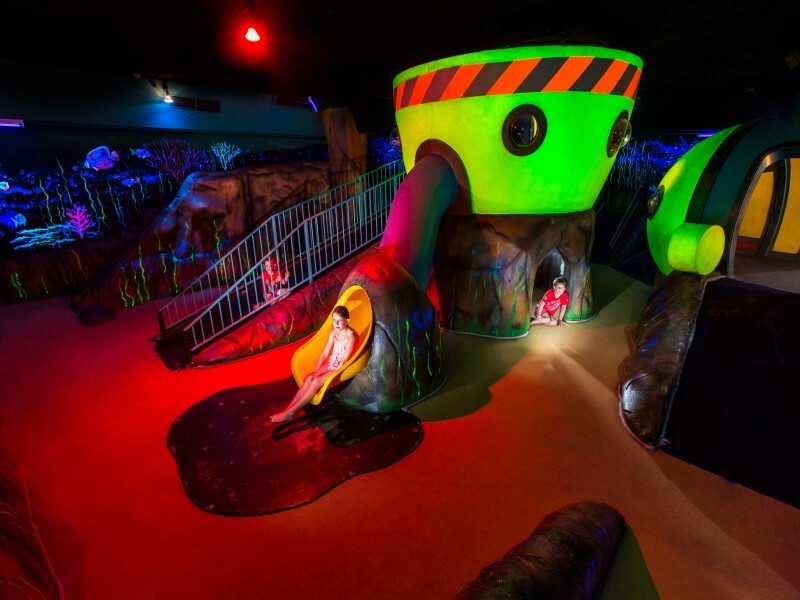 Take your holiday to new heights by climbing this 9 metre behemoth wall on one of three levels of difficulty as many times as you can manage in a 1.5 hour session. The professionally trained crew are able to assist rock climbers from 7 years to 100 years scale the wall at $15 a session. Lastly but certainly not least, is the jewel in the crown that is Paradise Resort – the lagoon. This enormous pool area encompasses two huge water park playgrounds, a lagoon pool and heated spa. 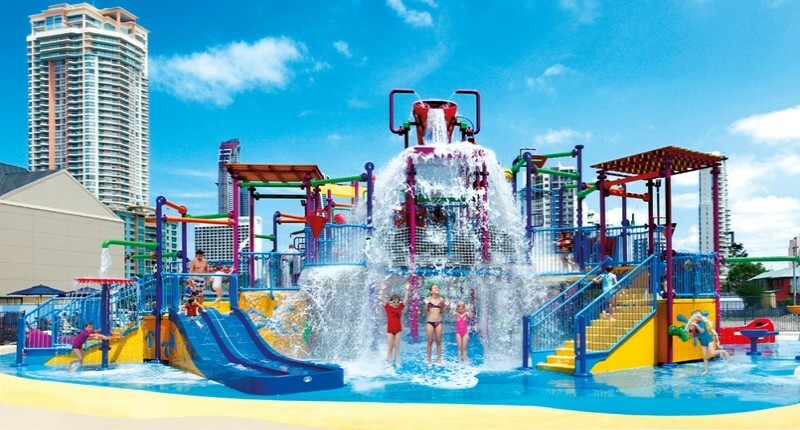 A multilevel giant, the Z4K water park features climbing frames, water cannons, water slides, and sitting atop the third and highest level is the giant tipping bucket that empties its contents after it has reached its 600 litre capacity. That’s 300 milk cartons! 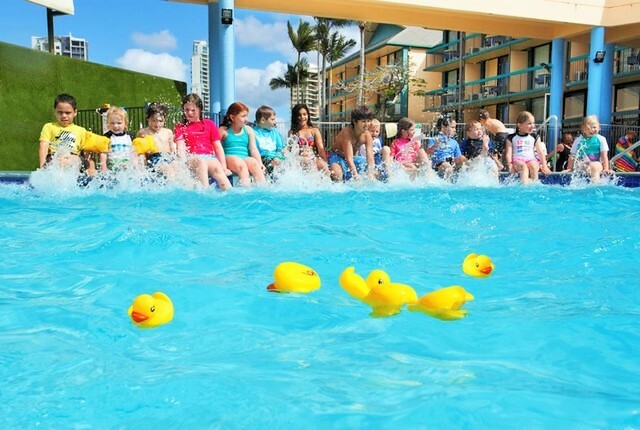 For the little nippers under 5 years there is a separate water park so small children can run around safely enjoying their very own slippery slide, tipping bucket, water cannons, and gently sloping entry into the lagoon wading pool. Another fantastic aspect of the resort are the magnificently themed room suites. The Resort Room and Superior Resort Room are the basic suites suitable for 2 adults and 2 children; however, the fun really starts with the bunkhouse suites. These fantastically colourful suites include either a queen or king bed and a separate kids area fitted with bunk beds, an Xbox, and a TV (some rooms even have a Playstation 2!) so are they’re never lost for things to do! Finally there are interconnecting rooms and family rooms catering for larger families from 2 adults and 3 children to 2 adults and 5 children to 4 adults and 4 children. 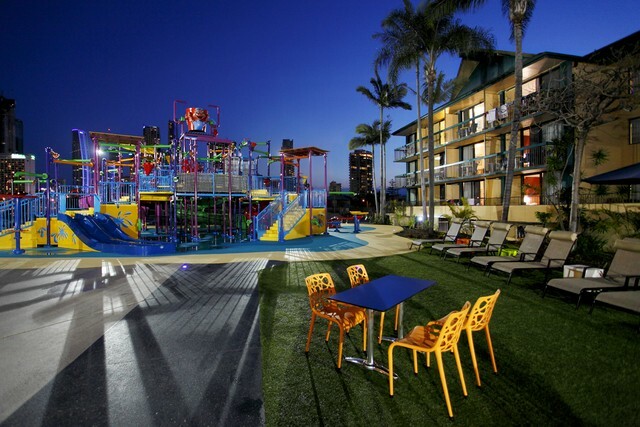 Paradise Resort can fit even the largest of families comfortably, all while keeping the kids entertained. Our hot Hightide tip is to visit Splashes, Paradise Resort’s very own mini mart! 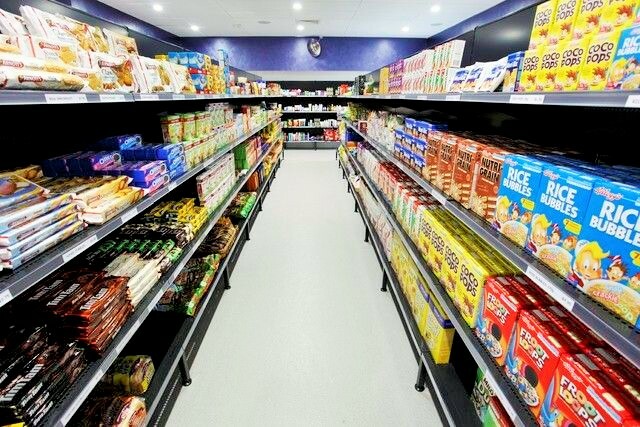 Set within the resort the grocery store is well stocked with everything a family could need while away on holiday and is the perfect way to alleviate spending by preparing snacks and breakfast in the apartment. It’s also handy for those last minute forgotten items such as after-sun gel and thongs. What really makes Splashes special? (Besides the rather excellent alcohol selection) the prices are all comparable to your regular grocery stores so you won’t be spending $8 on a loaf of bread. For souvenir shirts, hats, and other fun merchandise and trinkets visit the gift shop in the lobby – this is also where you can organise your tours, transfers, and theme park tickets. Paradise Resort is a family holiday haven; with impressive facilities such as the expansive lagoon and waterparks, adult zone and spa, Planet Chill Ice Rink, Dusty’s Rock Climbing, Zone 4 Kids Club, enormous lobby jungle gym, and complimentary activities that run constantly. The resort promises a holiday utopia and delivers. Relaxed Mum and Dads, happy kids, and amazing family memories are just the beginning.